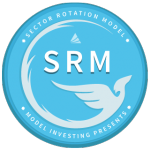 The Sector Rotation Model (SRM) helps you determine which sector is most likely to outperform each month. Focusing your investments in the top performing sectors will allow you to earn higher returns while taking on less risk. This tutorial will guide you through applying the SRM’s recommendations to your own personal portfolio. The Sector Rotation Model is updated monthly. Updated recommendations are accessible with a premium subscription and are available on the first trading day of each month. They represent proper positioning for the duration of that month. To get the most out of the SRM, you will want to update your holdings immediately upon receiving the latest recommendations. Note: If you invest primarily through you employer sponsored 401(k) plan, or the Federal Government’s Thrift Savings Plan (TSP), please see those specific models. The recommendations provided by those models utilize similar logic to the SRM, and are customized to provide more tailored guidance. The most straightforward way to leverage the SRM is to follow it exactly, as it rotates between the nine sector exchange-traded funds (ETFs) and cash. Each month when you receive the latest SRM recommendation, sell any previously established positions and move those funds into the new selection. The ticker symbols for each of the sector funds are clearly identified on the recommendations page. If the model selects Cash, sell any positions you have in any of the nine sectors and keep the funds in your money market account. It is rare when the SRM moves to cash, but it does happen. When the SRM recommends Cash, it’s a signal that the stock market is in a downward trend and the best place to be is on the sidelines. Note: The SRM works in sync with the Asset Rotation Model (ARM). When the SRM goes to cash, you can check the ARM to see if bonds are an appropriate alternative to stocks. If so, you can follow the ARM until the SRM reenters the market. 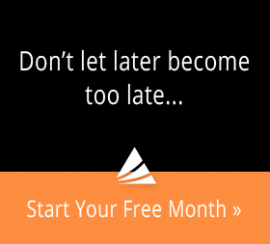 You will need to monitor both the SRM and your positions monthly. The historical backtested performance of the SRM is based on following the model exactly, maintaining exposure to only one sector at a time, and moving the entire portfolio according to each month’s recommendations. While the results speak for themselves, we understand if you are hesitant to invest so heavily in just one sector. Use only a small portion of your overall portfolio to follow the SRM’s recommendations. As you see the results over time and become more comfortable with the model’s performance, then consider increasing your exposure. Consider splitting your investments between the top two or three performing sectors each month. This will allow for greater diversification and will reduce overall risk. The trade-off comes in the way of marginally lower returns and higher trading costs. Again, once you develop more comfort with the model, you can adjust accordingly. We highly recommend that you stay away from any sectors in red and concentrate your investments in those sectors that are performing the best. 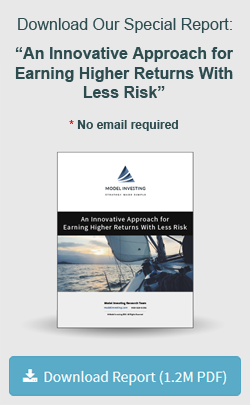 A final reminder, not following the SRM’s exact strategy and recommendations will result in returns that differ from the model’s historical and future performance. This wraps up the SRM Tutorial.